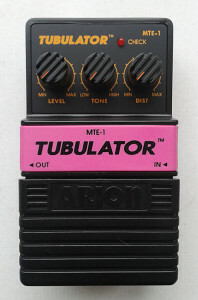 A Tubulator? Yes. 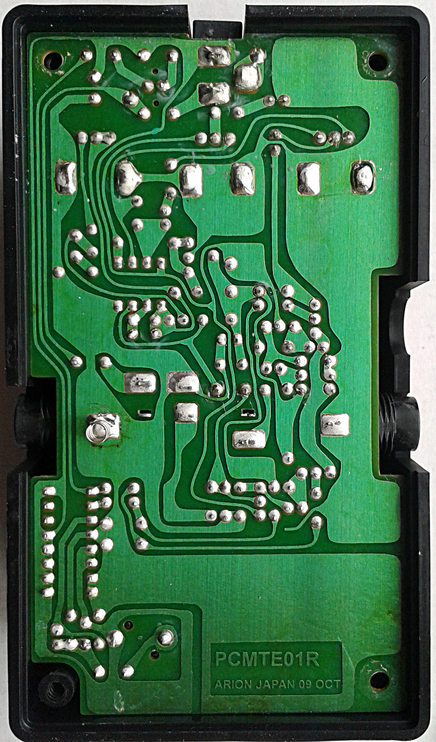 Can anyone guess what the base circuit design is? By the name and three controls, Level, Tone and gain, which is named as Dist, there should not be that many questions. 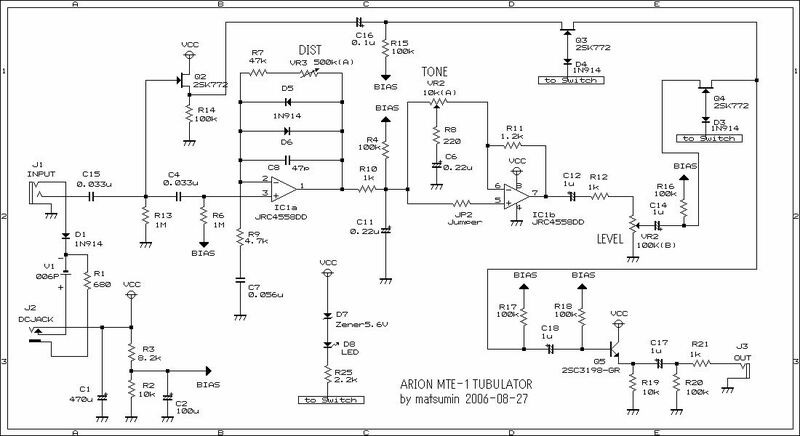 There is a schematic up at Matsumin’s page (switching not depicted). So let’s take a look at those extremely beautiful, acid trip traces with pretty hand drawn feel to it before examining the schematic a bit. Pretty. Isn’t it. Anyway. 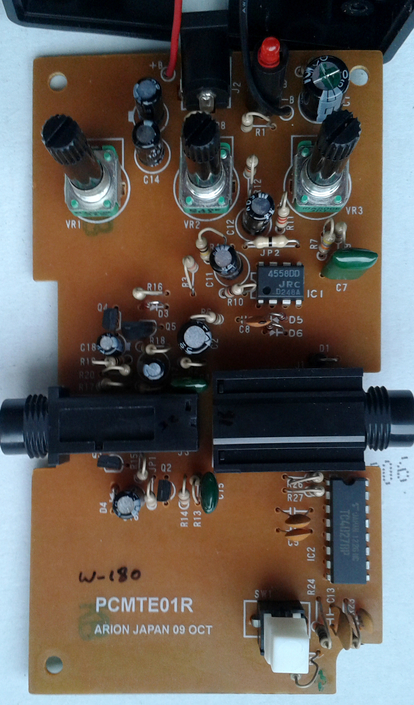 To read the schematic a bit, we don’t have an input buffer for the circuit input, just for the bypass path. This does look a bit strange, since it’ll mean that the circuit input is connected to your guitar at all times. It seems, however, that the input impedance of the JFET bypass buffer is higher that the gain block’s impedance. 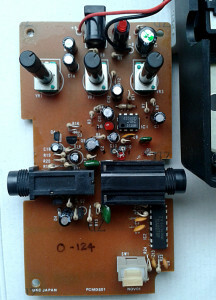 The capacitors at the input of the first gain stage (two 33n caps in series) seem a bit low in terms of letting lower frequencies in. Still on par or at least close to what we find in the design this is obviously derived from. Then for the gain block. This is very common setup for these “tube overdrives”. Noticeable and somewhat audible difference comes from 56n capacitor form inverting input to ground. This’ll shift the high pass filter created by the gain stage a hint lower, affecting the lows for the better. The value versus the value in several other “tube overdrives” is pretty close but should make a nice, subtle difference. Then for the Tone control. This part is the same as in those “tube overdrives” mentioned earlier. Yes. I’ll be using quotation on this all the way until i say it out loud.. Then we have the Volume control, shunt to ground instead of the usual VREF. And then comes the output buffering. Simple, yet effective. I just had to snap a photo of the original retail box. Notice the short spiel – Very Intense Tube Emulation Pedal. I sure do hope all of you got the point for this design without me saying it? Yes. It is an ever so slightly modified, Yet Another Tubescreamer. Close to the ye oldee Maxon design. Nothing new, nothing special, but still slightly more pleasing in its overall tone when compared to TS808/9. 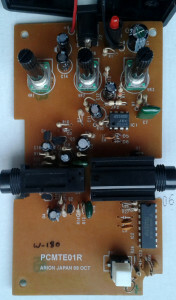 If it wasn’t housed in plastic (which in this case isn’t that big of a minus), this would probably stand out nicely form vast majority of all the other Tube Overdrive (un)designs. Maybe not much, but a bit. It acts close to TS808 and TS9 with its relatively sluggish output level and mid-honking cold, dead hand slapping you on to top of your head. Subtly more content on lows, but not much. Reasonable controls too. 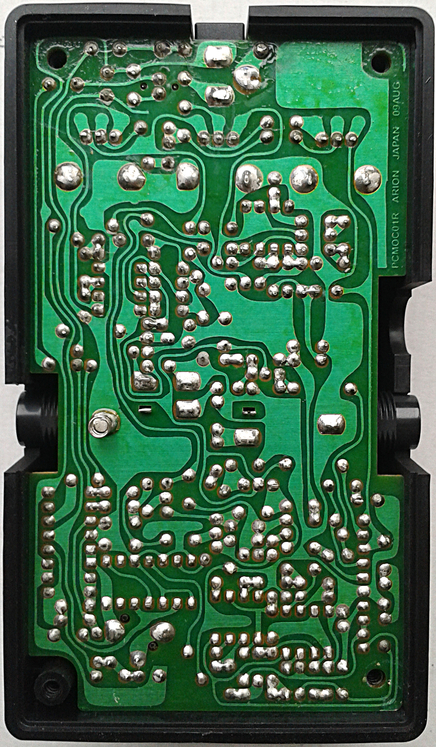 As with 98 per cent of all TS derivatives, the overall tone shines on vintage output pickups, but goes from horrible to completely unusable with modern pups with over 12K DC resistance. For the price, this is very decent TS-derivative. 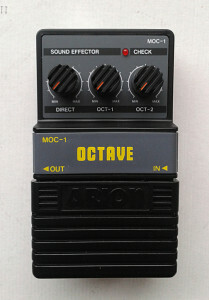 Arion MOC-1 Octave. Made in Sri Lanka around early to mid 00’s. This unit was my very first brush with Sri Lankan reissues. Bought it as new for the nice price tag and more importantly, out of curiosity. Arion is rather personal brand. 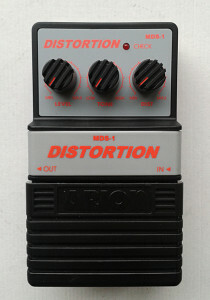 Its pedals have certain cult reputation which isn’t based on its plastic appearance, but the tones. Sure these come cheap, but that doesn’t attribute to bad craftmanship nor bad tones. 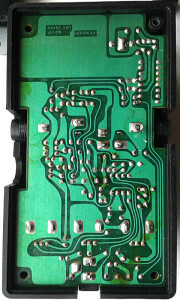 Negative things come from plastic housing with a plastic battery lid that are just as prone to get lost as the ones on old DOD FX-series boxes. Other downside is the knobs. The pots are not bad at all for small 9mm board mount pots. The push on knobs get loose way too easily. So one strike for the plastic enclosure, second for the battery lid and the third for the knobs. Already at this point one could argue that i shouldn’t praise effects with such obvious flaws. But. 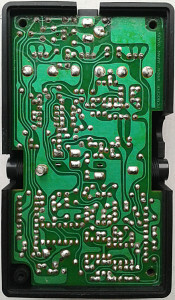 The plastic enclosure can handle stomping, the knobs do not part ways with the rest of the pedal by themselves and that is true for the battery lid too. so none of those offer enough leverage to call Arion units simply bad. Then comes the areas which are way more important. Take a look at the photo below. 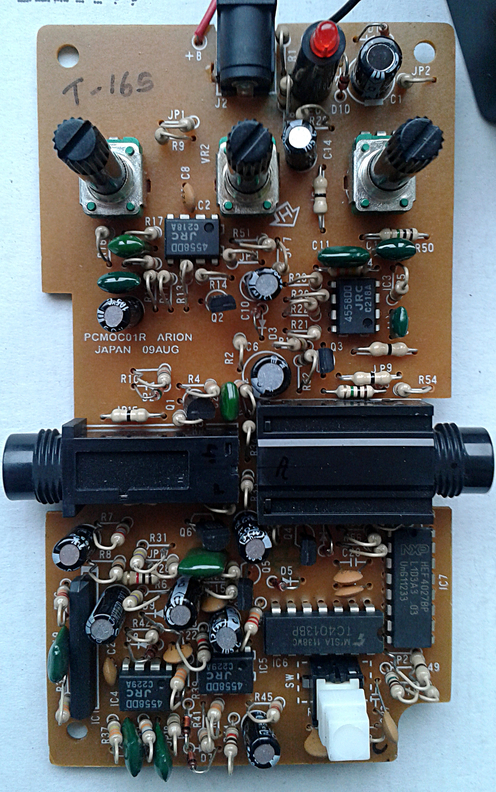 Neat work, and the boards are exactly as they were in the original, early 80’s japanese Arions. 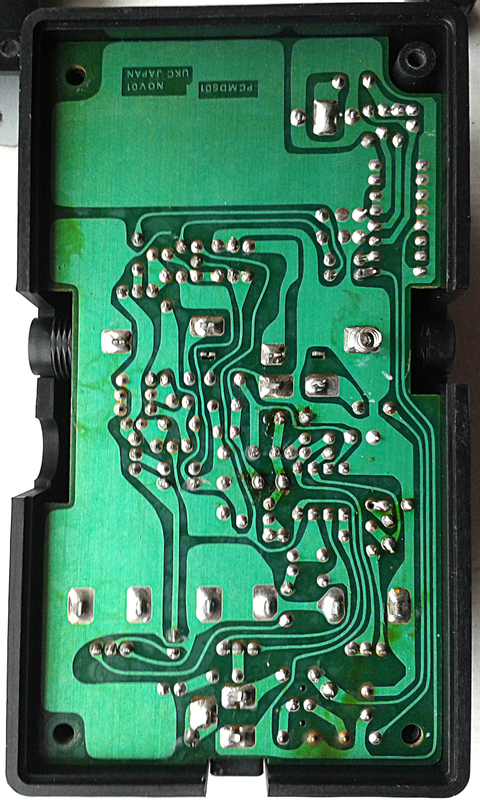 Traces and solder joints are just plain work of beauty. Acidy and hand drawn feel. How can you not love this? The board design adds more to the so called “mojo” factor than many other things. I try to restrain myself from using the m-word too much as it’s been used without any warrant so much over the years. Either way, the trace side is just beautiful. Component side isn’t that sleek, but still decent. Seeing the actual board pretty much take all the firepower out of the three culprit arguments. 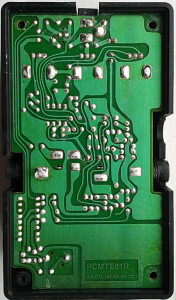 What does the plastic housing matter, if the electronic and board designs show this level of excellence? Not sure, but these could be made on to original japanese boards. Just assembled in Sri Lanka. And then there’s the electronic design. 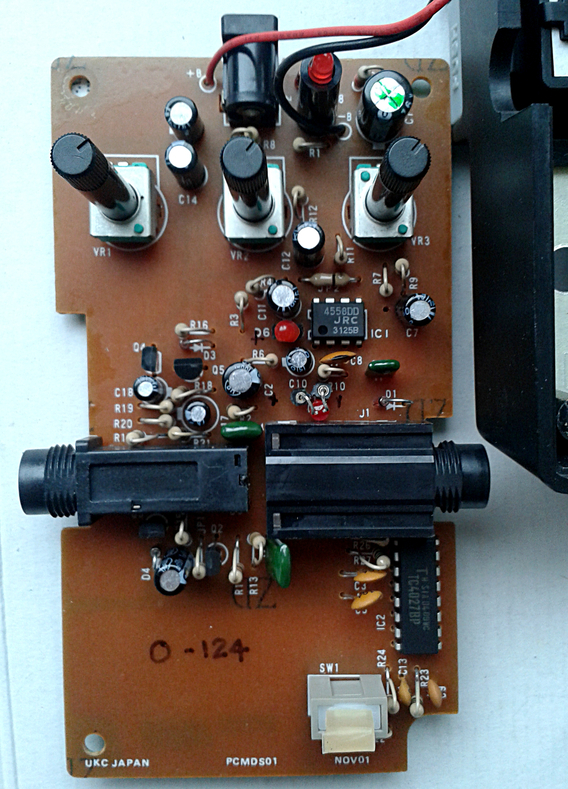 Some forums claim the circuit is straight up clone of the classic Boss OC-2. Haven’t traced this and i have yet to see an original schematic to confirm. Just by the looks of the board, i’d say no. It’s not your straight up clone. It has similar features, but still no. At least the semiconductors and number of them do not match. While the features of 1 octave down, 2 octaves down and the clean mix level are similar, that doesn’t mean that the circuit has to be identical. Even if the most important thing would suggest that too. Clean, but powerful. 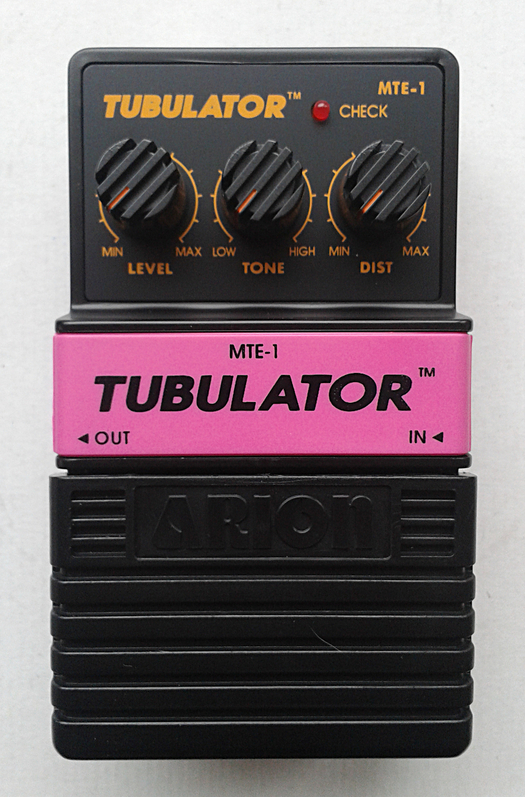 One of the best analog down octaves in terms of tracking and keeping the octaves in place. 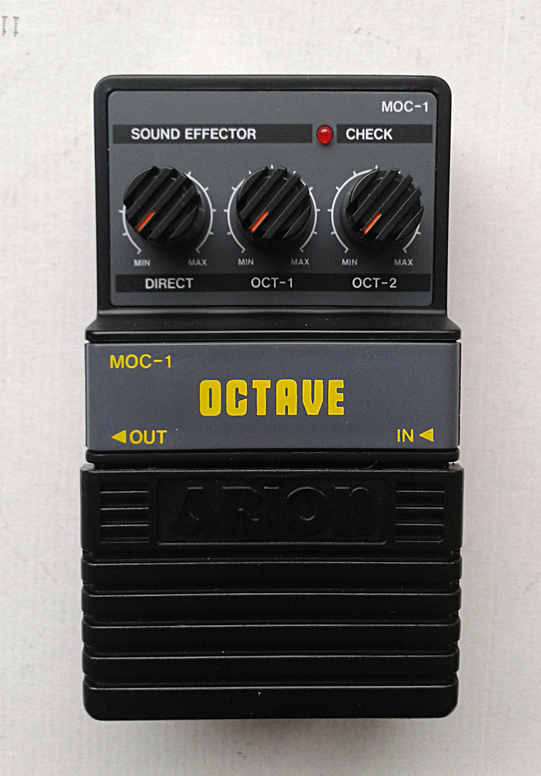 MOC-1 is actual true competition for OC-2, EHX Octave Multiplexer and others alike. Very nice sounding unit that keeps the output levels in usable range. Other than being plastic (and the other slight culprits mentioned above), there isn’t much negative to say about the tone. Very decent unit to have and use. Takes easily a spot in the top five of all analog down octave dividers.